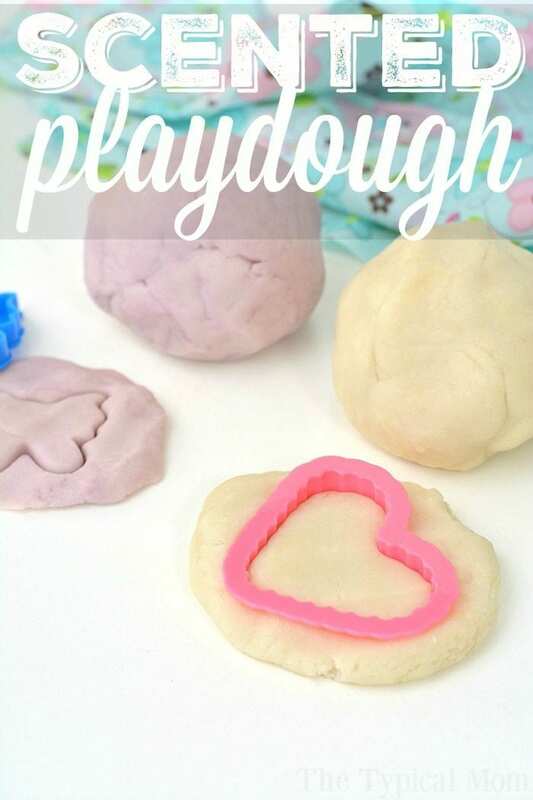 This is how you make soft scented playdough using essential oils and natural ingredients in your cupboards! It’s a fun way to make homemade playdoh that smells wonderful and is a fun activity for toddlers and kids of all ages really. A simple and cheap Preschool craft or weekend activity. 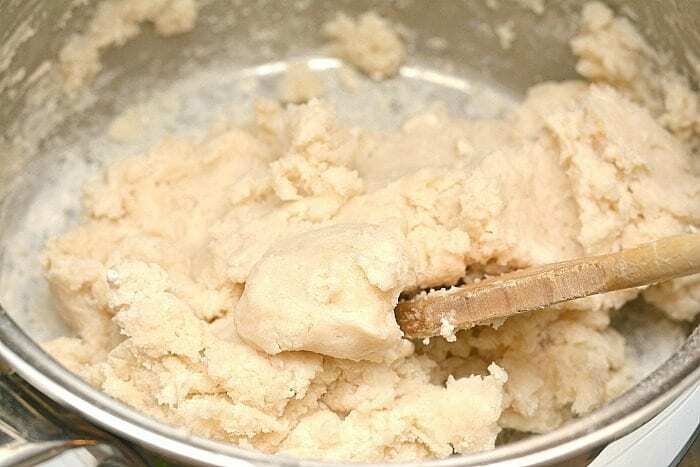 Have you made homemade playdough before at home with your kids? It is very simple to do and you can go a step further to make scented playdough too like this! Using a variety of ingredients to add a wonderful scent to your playdoh like vanilla and/or lavender essential oils it is not only a fun activity for kids but smells wonderful while they’re playing with it too. First thing first you need to make some playdough with a few ingredients you see here below. It is a pretty basic recipe that has been around for years and cheap to make for sure. It doesn’t have any chemicals in it so it’s perfect for toddlers because they have a tendency to touch things and put their fingers in their mouths. Making the playdough will need to be done by you because you will need to use the stove. 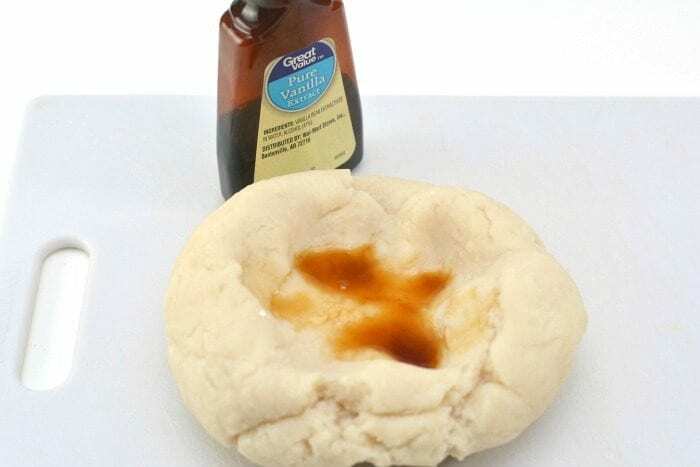 Once it is cool though you can make a divot in the middle of the pall of dough and once you add a bit of vanilla you can allow your child to knead it and smell the wonderful scent as they are completing the process. 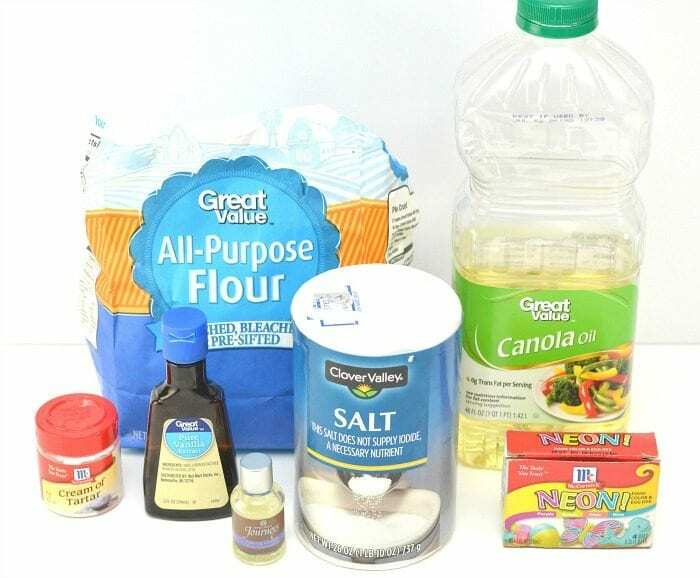 Here are typically the ingredients to make playdough. It really is a fun craft or activity for kids that is great for a snowy or rainy day, a Girl Scout project, activity for Preschoolers or something fun to bring into a Kindergarten class already made and let them enjoy it. We have also made homemade edible playdough on lazy Sundays and both are fun to keep them busy. Start by putting flour, cream of tartar and salt in a pot over medium heat, stir them well. Add in your water and oil, stir well until the mixture begins to form a dough and stick together. If your dough is too dry, add a bit more water. Just a drop at a time, kneading in between. Stir consistently so the flour doesn’t burn or harden. Once the dough is formed remove from heat and set on cutting board to cool off. When it is slightly warm separate into two equal parts. Form each ball of dough with a divot in the middle like a bowl. Pour about a tsp of vanilla extract in the middle and knead until it is combined well. If you want a bit more for scent follow the same process. If adding lavender essential oil use this same process to make your two scented playdough balls. That is it really and how easy it is to make scented playdough right at home! Try it yourself and let us know what scent you chose. Once you’re done with that this is how to make homemade play putty!